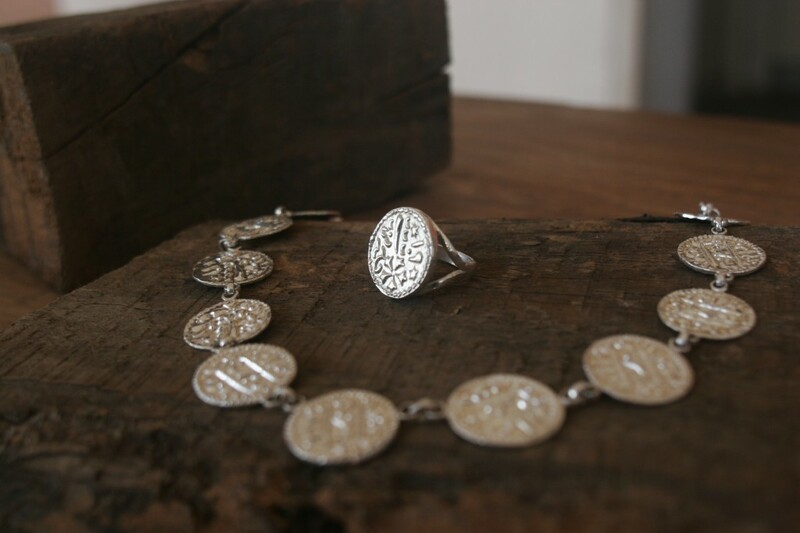 As well as currency, coins have been used for jewellery in cultures across the world. 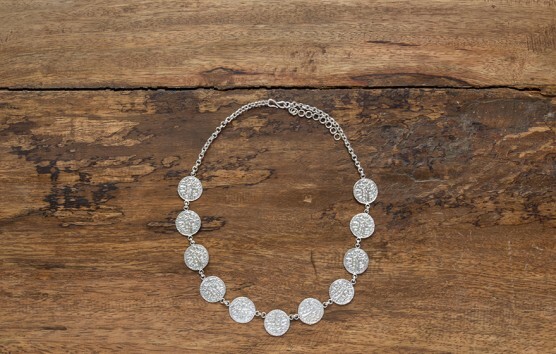 In Nepal, this type of jewellery is usually associated with the flat, southern plains, or with the hilly western region of the country. 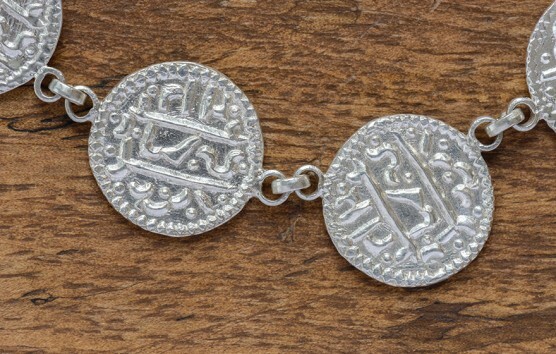 Since at least the late 19th century, the Indian Rupee has been a popular choice, due to its high silver content. Occasionally, money from Persia and more far-flung regions would make its way to Nepal through trade routes. Some of these would be used to make necklaces and rings. The lady in the image below is from Manang, an arid valley that lies in the shadow of the Annapurna massif in central Nepal. 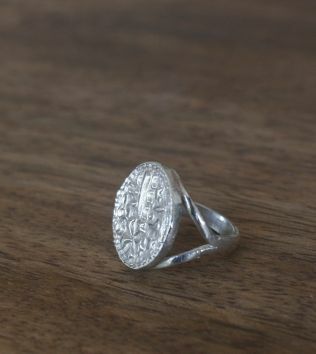 The ring is handmade from silver. It can be ordered with either pattern seen in the images.